Our current job openings are listed below. We are always looking for good people so if you do not see a current opening that fits your background, please submit your resume for future consideration. Project Hosts is an equal opportunity employer. 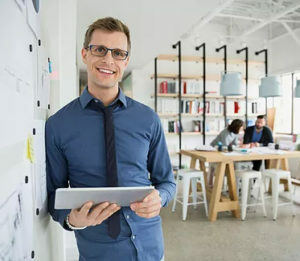 Our comprehensive set of Azure managed services extend compliance beyond the infrastructure (IaaS) and platform (PaaS) level to protect entire applications at the Software (SaaS) level, implementing controls related to access, authentication, encryption, auditing, scanning, business continuity, change management, incident response, privacy, annual assessment, penetration testing, and required documentation. Project Hosts is a fast growing, profitable Software as a Service (SaaS) company that manages cloud application deployments for government agencies and businesses. Federal government organizations are required to ensure that any applications they use in the cloud are compliant with FedRAMP security standards. Achieving FedRAMP compliance costs millions and takes years, so agencies have been frustrated with the difficulty of moving apps to the cloud. Enter Project Hosts. We already have the compliance, so we can deploy an application in the cloud for an agency within 1-2 months. More and more agencies are viewing Project Hosts as the solution to their “FedRAMP headache”. Represent Project Hosts at events, seminars, online discussion groups and other places where Federal buyers are looking for FedRAMP-authorized Microsoft private cloud solutions. You are a hunter and you enjoy high velocity sales. You have 3-10 years of experience personally selling and closing cloud or software deals. You have owned the entire sales cycle on your own, including generating, vetting, negotiating and closing deals directly with customers. You have a proven ability to exceed quota of over $2 million per year. You can give a polished presentation and demo to a customer and provide a solution that clearly resolves any customer pain. Experience selling across multiple levels of an organization. You must be able to build trust and mutual respect with business roles within an organization. Entrepreneurial. Ethical. Hands on. Passionate. Curious. Persistent. Creative. High personal productivity: you are a doer first. World-class interpersonal and communication skills – you have the ability to effortlessly make complex contractual, technical, and financial details sound simple. Ability to balance competing priorities and manage multiple project/deals at the same time. You are a team player and can share the credit, solicit the opinions of others and display team spirit. No lone wolves. You must be able to work effectively from your home office and travel for client meetings. Location: Erie, and western PA area; Project Hosts Ops center in Conneautville, PA.
Project Hosts was founded in Silicon Valley in 2003 and shortly thereafter opened a technical operations center in Conneautville, PA. Having roots in Silicon Valley enables us to keep pace with the fast-moving cloud industry, while creating new jobs and highly trained cloud engineers in Pennsylvania. We are proud to offer this program, and enable students in western PA careers in advanced cloud hosting, management and security. The program offers a Cloud Service Engineer Apprentice Program for students attending 2-year and 4-year colleges in the western PA region. This program offers the candidate FULLY PAID Microsoft training, testing and certifications AND a chance at full-time employment after the 90 day program has concluded. Our goal with this program is to enable the company to meet its staffing demands for custom cloud-based Microsoft solutions, Azure based application hosting and security compliant cloud solutions by training students in the western PA region. You must have the desire to be part of an established team of engineers with many years of experience! This is a full-time position that includes employee Health Care benefits, two weeks of vacation, matching 401-K plan, etc. This is a great opportunity with a company, Project Hosts, that has been in business for more than a decade, is self-funded, profitable, and grown more than 50% over the last three years.